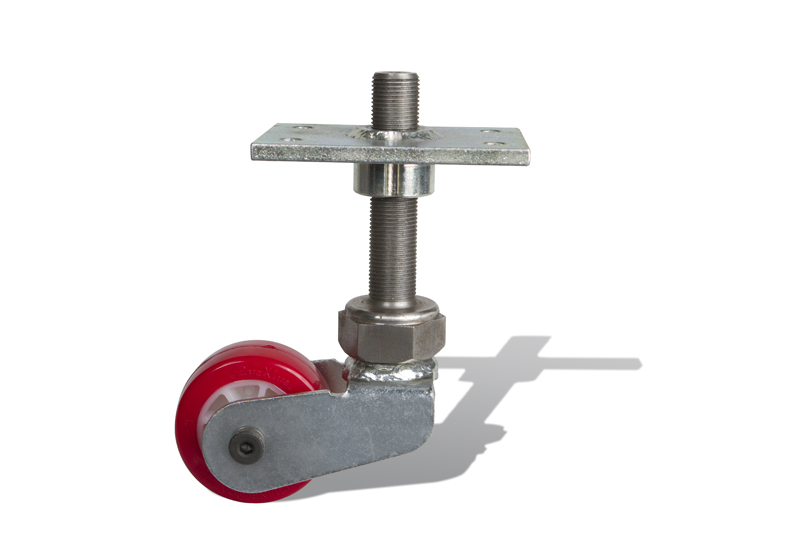 Ross Design™ has developed bottom adjustable casters to offer up to 3” of height adjustment. Adjustments are made easily accessible by the patented bottom adjust locking mechanism. After the adjustment is made, the locking mechanism is secured to lock the desired height into place. 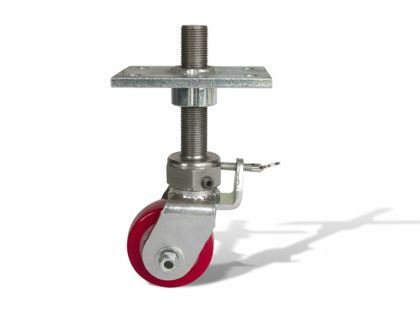 The bottom adjust caster is also available in the standard and lowered wheel frame to achieve desired lowered and extended heights. 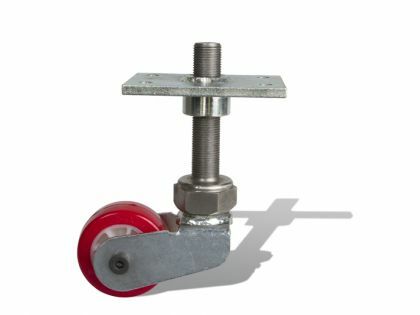 These casters have been approved by the NSF for multiple applications, including use in the food industry.